GSMArena team, 21 August 2018. The Nokia 6.1 Plus has a 5.8-inch, 19:9 FullHD+ IPS display with a resolution of 2280x1080 pixels. 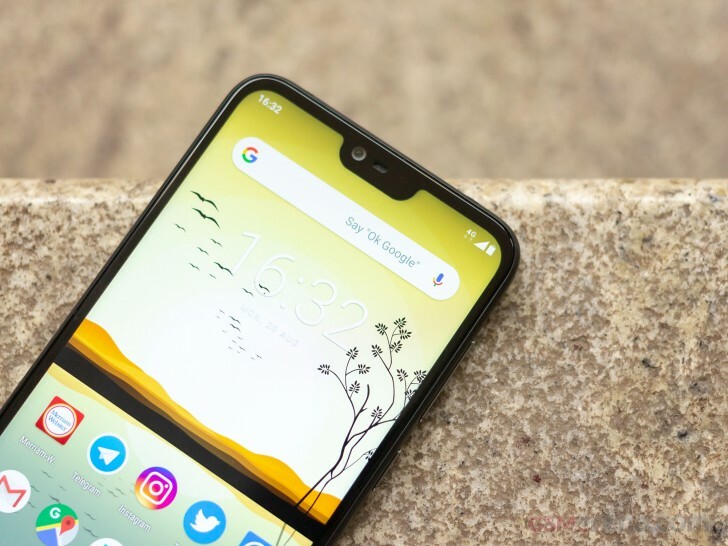 The display scores some brownie points with its pixel density, which is quite high, as well as the good viewing angles, typical of an IPS LCD. The notched design also gives a feeling of edge-to-edge design, which is appealing. Where it falls behind is in color calibration. The display has an exceedingly cool white point, which makes the screen look incredibly blue at all times. On top of that, it comes with greatly exaggerated color saturation. It's not a bad display by any means, and some might find the look appealing but it's a bit garish by today's standards, and we wish Nokia had provided some standard color profiles for those who would like a more natural looking display. Another issue with the display is that it doesn't get very bright, which is a problem outdoors as you are forced to run it at full brightness and even then, it's not particularly easy to see under sunlight. The Nokia 6.1 Plus has a 3060mAh battery, which seems pretty small by today's standards but the phone also doesn't have an especially large display nor a particularly powerful chipset to power, so things don't get as bad as you might think. With moderate use, it is possible to get through a day on a single charge, with only the heaviest of use cases resulting in you reaching for the charger before the day is over. Fortunately, the phone also features Quick Charge, which helps in charging the phone from flat to a full charge in about two hours. Unfortunately, the phone does not ship with a Quick Charge compatible charger, and you would have to buy your own. In the battery settings, Nokia has implemented a background activity manager feature, which is off by default but can be enabled to more strictly restrict the background activity of apps. This can be done individually or for all apps at once. The downside is that it may result in some apps not getting any notifications. Nokia did leave out a battery percentage option for the status bar, so the only way to see the remaining charge is by pulling down the notification shade. We suspect Nokia was worried it would take too much of the status bar space with the notch, but we felt there was enough space left there even with all icons for a percentage counter. The Nokia 6.1 Plus has a single down-firing loudspeaker, which Nokia says uses a "Smart Amp." The audio quality is mediocre; the speaker gets reasonably loud but sounds a bit tinny with very little bass. It's good enough, though, for watching the occasional YouTube video, however, you will have to get used to the sound coming out from one side.